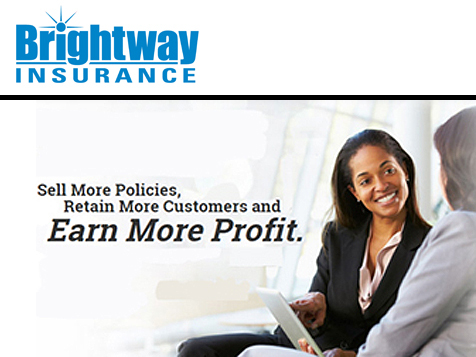 What does a Brightway Insurance Franchise Cost? Brightway’s turnkey insurance agency franchise offering, coupled with the power of renewal-based income, make first-time agency ownership attractive and easy for people who had not considered an insurance franchise previously. In this reinvented agency model, agents focus exclusively on selling, while service after the sale is handled centrally by product experts. This enables Brightway agents to consistently outsell traditional independent agents. And, by the fourth year in business, Brightway agents sell more than twice the new business premium than independent agents. 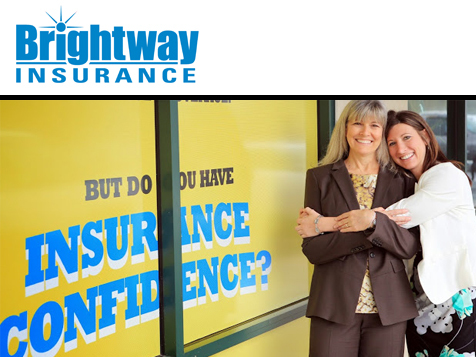 Open Brightway Insurance in any of these available states: AL, AZ, AR, CA, CO, CT, DE, FL, GA, ID, IL, IN, IA, KS, KY, LA, ME, MA, MI, MN, MS, MO, MT, NE, NV, NH, NJ, NM, NC, ND, OH, OK, OR, PA, RI, SC, TN, TX, UT, VT, VA, WV, WI, WY, DC. The Insurance Agency Reinvented Around You. Customer Service. It’s estimated that agencies spend 80-90% of the entire agency’s time servicing renewal business; of that, individual producers spend between 40 and 60 percent on this activity. In Brightway’s model, the local agent is freed up to focus on selling, while customers receive the highest-quality customer service from a centrally located Service Center staffed by insurance experts. Access to multiple insurance carriers. Brightway agents have access to more than twice as many insurance companies than traditional independent agents do. By providing broad choice in carriers, consumers can rest assured knowing that Brightway agents are effectively shopping the insurance market for them, customizing policies that have the coverage they need at a price they want. Technology. Brightway provides industry leading technology for its agencies that makes transacting business fast and easy, and that allows for rapid growth. Brand. Defining what Brightway stands for and communicating it consistently and as broadly as possible, building consumer awareness and demand. That’s why Brightway says that its Agency Owners sell more, retain more, and earn more. Today, colorful blue and yellow Brightway Insurance stores are operated by local business people throughout the U.S. And, their Agency Owners, buoyed by more offerings, streamlined workflows and robust support, are growing. Fast. The focus on sales, the expert service provided, and the broad variety of insurance companies offered means Brightway agents consistently outsell other Independent Agents. We are looking for hands-on franchise owners who are ambitious and outgoing with established community networking skills. No prior insurance agency experience is necessary! A background in sales management and consultative sales is best suited for growing an insurance agency business. Leadership by example is a must in running a successful sales business. You must have a minimum of $75,000 in liquid capital with the ability to obtain financing for the total investment. Be ready to work hard especially for the first few years to build a long-term residual driven business. 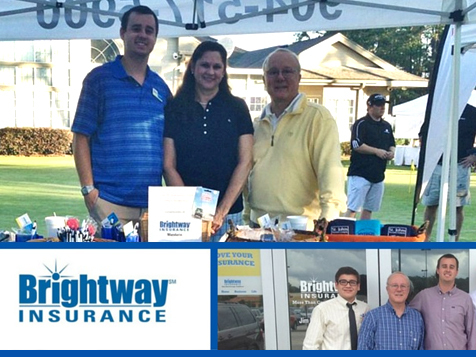 Brightway Insurance is currently accepting inquiries from the following states: Alaska, Alabama, Arkansas, Arizona, California, Colorado, Connecticut, Washington, D.C., Delaware, Florida, Georgia, Iowa, Idaho, Illinois, Indiana, Kansas, Kentucky, Louisiana, Massachusetts, Maine, Michigan, Minnesota, Missouri, Mississippi, Montana, North Carolina, North Dakota, New Hampshire, New Jersey, New Mexico, Nevada, Ohio, Oklahoma, Oregon, Pennsylvania, Rhode Island, South Carolina, Tennessee, Texas, Utah, Virginia, Vermont, Washington, Wisconsin, West Virginia, Wyoming.